Looking to celebrate the holidays and end the year on a delicious note? Molino’s Italian Kitchen is here to help out your holiday party, large or small, at home or at the office! Our large group catering menu is packed with a variety of delicious Italian dishes and holiday party appetizers to please any palate … and our gourmet food delivery service ensures it arrives hot, fresh and ready to serve! We can customize a menu to meet your needs. 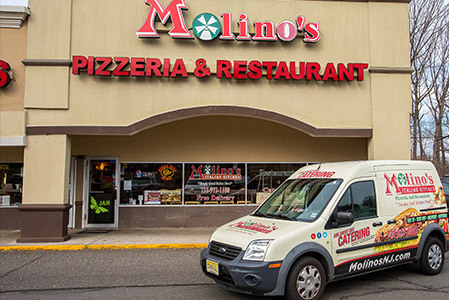 Why Order Holiday Food for Large Groups with Molino’s? Homemade Italian Recipes – Our holiday catering menu features the same variety of Italian dishes made with only the highest-quality ingredients. That means your guests will enjoy traditional Italian cuisine and recipes that will make the day even more memorable. Fast, Fresh Gourmet Food Delivery – When it comes to large group catering, you want to be sure your food will be delivered on time and at the right temperature. Our staff takes great care to pack your holiday party appetizers and entrees with care so they are hot and ready to eat when you are. Affordable Convenience – Let’s face it, the holidays can be stressful. If you’re looking to save time and money when providing food for large groups, holiday catering at Molino’s is your solution. Let us take the guesswork out of the day so you can focus on spreading the holiday spirit! If you’re interested in hearing more about our holiday party appetizers, entrees and more, contact Molino’s today at 732-972-1180. It’s never too early to start planning!